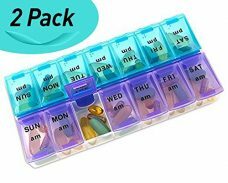 This pill organizer has everything to make it an optimal choice. 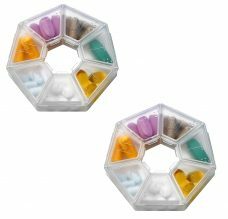 It consists of 28 compartments with separate snap lids lids for every compartment. The lids are designed translucent so that you can check your regularity without even opening them. 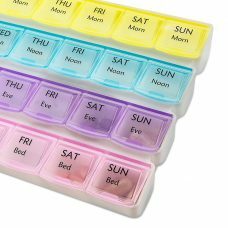 Each lid has the first letter of a week-day with am and pm label. Lightweight and small size makes it perfect for long journey. 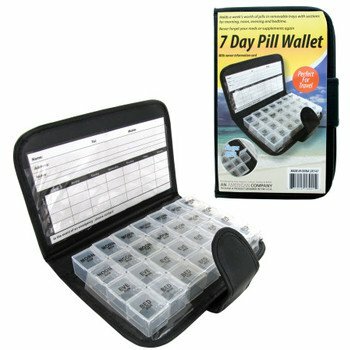 What makes this pill organizer unique is that it comes with a beautiful wallet. Its made of tough and durable plastic, and guarantees to last throughout the long run. 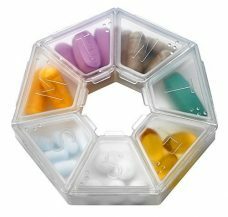 You must have noticed that most plastic boxes release some pungent odor, but our pill organizer is odorless and safe. 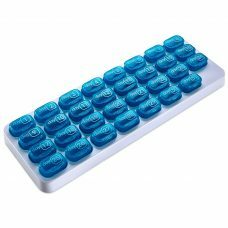 EXCEPTIONAL DESIGN: The pill organizer has a contoured design for easy pill removal. 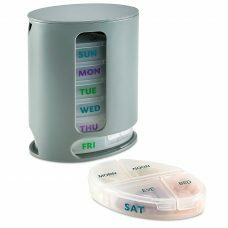 It includes 28 compartments and lets you store medicines in bulk.Time-of-day compartments make pill management simple & precise. 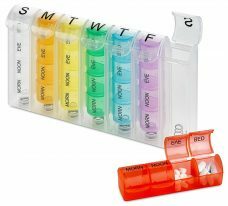 CONVENIENT AND EASY TO USE: This weekly pill reminder comes with snap shut lids that indicate the day of the week with letter. 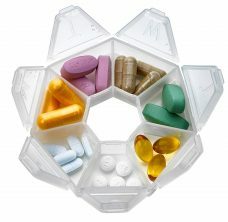 Its lids are translucent, so you’ll know if you have taken your medicine without opening the lid. 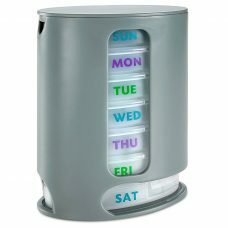 PERFECT MEDI-PLANNER: The organizer allows you to 7 day medication for morning and night plus 2 times in the day. It helps you make sure that you haven’t missed any dolan your se. 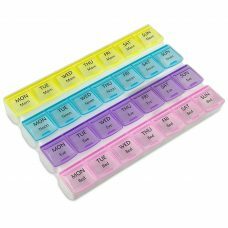 HIGHLY DURABLE: Our pill box is made of rugged and durable plastic, guaranteed to last for a lifetime. Also, it’s lightweight and small, and hence travel-friendly.